A lower voice is one of the of the changes most desired by many transgender people assigned female at birth (AFAB) who take testosterone. While taking testosterone does lead to a lower voice, some people experience vocal problems, like a persistently weak, hoarse, or unstable voice, after starting T. The lack of systematic information on transgender voice transitions makes the decision to start testosterone especially difficult for transgender singers, because they can either take testosterone to transition, but risk losing functional use of their voice, or continue living with a body that does not align with their gender. We address this issue by (1) conducting a case study on the voice transition of an AFAB amateur transgender singer on testosterone therapy (Ari Agha, they/them pronouns, Research Lead), and (2) using the data collected in that research to create an interdisciplinary social justice performance to tell the story of Ari’s voice change. To serve as a baseline, we began collecting information about Ari’s voice before they started taking testosterone. To document Ari’s voice change we are using stroboscopy (video of vocal folds) and acoustical analysis, video recording of Ari’s weekly voice lessons with Laura Hynes (voice faculty at the University of Calgary, she/her pronouns, Project Lead), and written records of Laura’s observations about changes in Ari’s vocal range, the quality of their voice, and where register changes (or “breaks”) occur. We are also recording Ari singing the same arrangement of “Simple Gifts” (Joseph Brackett, Jr. 1848) every six weeks. Ari is chronicling their personal experience of going through a voice change in video and written blogs. In addition, we are tracking the amount of testosterone Ari is taking and the levels of testosterone in their blood, to assess whether these are connected to changes in Ari’s voice. This case study will address the lack of rigorous research on the effects of testosterone therapy on adult transgender singers and contribute to growing scholarship on teaching transgender singers. We will incorporate findings from the research into an interdisciplinary social justice concert using solo singing, choral music, documentary film and written material, and storytelling. The concert will bring science and art together to share how Ari’s voice changes, celebrate a supportive transition experience, and explore connections between voice and identity. We anticipate commissioning new works to include in the concert and partnering with local LGBTQ+ organizations to highlight their work and encourage audience member involvement. We are planning two performances for Spring 2019, details are forthcoming. In order to assess the research-creation process, we will survey/interview audience members, and conduct interviews and focus groups with community partners and artistic collaborators. Check out our Events/Performances Page for updates on the social justice performance and to see where else we’ll be sharing our work! Ari Agha (genderqueer, AFAB, they/them pronouns) has studied voice with Laura Hynes since January of 2016. 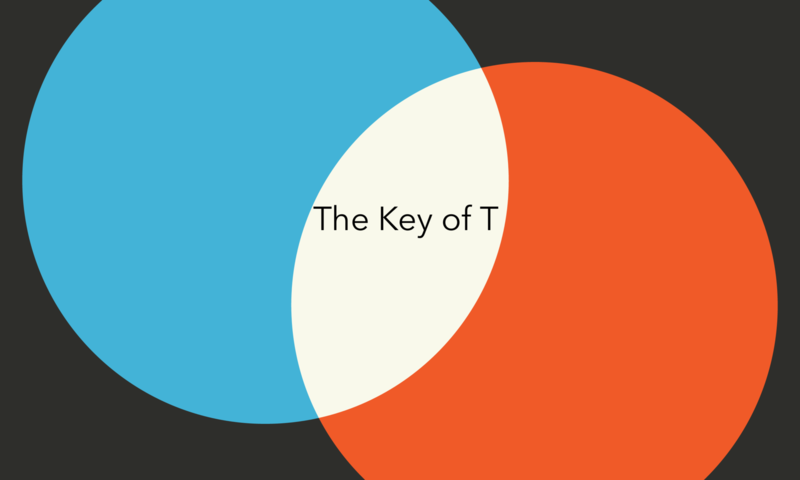 Agha and Hynes began collaborating on Key of T in the summer of 2016, prior to Agha starting testosterone therapy in September of 2016. 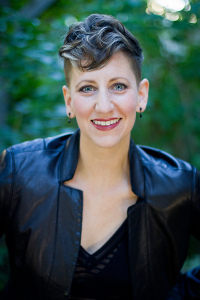 A Fulbright scholar in Paris, American coloratura soprano Laura Hynes (she/her pronouns) spent six years in France and Germany, performing repertoire ranging from baroque opera with Les Arts Florissants to “classical cabaret” on French television and radio. She has performed opera roles, solo recitals, and concerts throughout Europe and North America, in venues including New York’s Alice Tully Hall, the Barbican in London, the Châtelet and the Cité de la Musique in Paris, as well as major venues in Seville, Brussels, Madrid, Lisbon, Frankfurt, Marseille, and Montpellier. In 2015, Hynes joined the performing arts faculty at the University of Calgary. 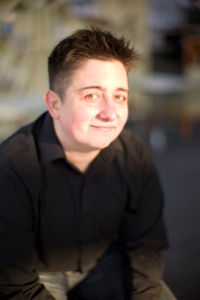 Her research there focuses on innovation in art song recital through social justice issues (Raise Your Voice), transgender voice transition, and collaborative performance creation. She holds degrees from the University of Minnesota (DMA) where she was the Carolyn Bailey & Dominick Argento Fellow, the Paris Conservatory (Cycle de perfectionnement), the Cincinnati College-Conservatory of Music (M.M. ), and Miami University (B.M.). All website content Copyright © by Ari Agha and Laura Hynes.